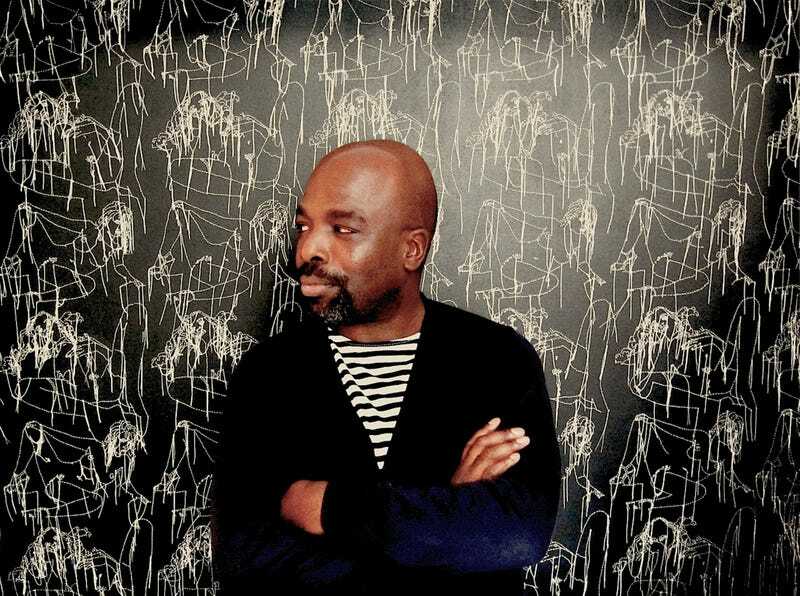 Duro Olowu is man who celebrates the creative force of women in the arts like no other fashion designer. After all, he’s married to Thelma Golden, the director of the Studio Museum in Harlem, where she is arguably the supreme critical eye and ultimate beacon and power broker when it comes to the contemporary work of black artists. She’s a style idol in her own right who serves as a muse in Olowu’s world of art and fashion. “It’s subconscious, the need to highlight women artists who are often overlooked and then used for a fashion season and then forgotten,” the London-based designer told The Glow Up. Olowu brings a design discipline and deep intellectual rigor to his collections, which fashion insiders wait for each season. There is a realness to his clothes—more reflective of the way that women buy and build wardrobes over a lifetime. He draws from seemingly far-flung references, such as singer-activist Nina Simone, for Spring ’17, as well as war photographer Lee Miller. This season, Olowu’s designs are a deeply satisfying throwback to the racial-unity movement of the ’80s, mixed with “two-tone” ska music—via the muse of Pauline Black, lead singer of the Selecter. What Olowu’s clothes, and his band of muses, seem to have in common is that none of them shy away from the conflicting desires we face in life; rather, they simply run right up against each other, forcing us to think about what we love as much as what we resist. Olowu mixes patterns and colors in ways that most of us could only hope to be deft or brave enough to even try on our own. “I love to look at things. I don’t go to parties. I walk around and look at colors. I’m amazed how a blue looks one way in New York and totally different in London or Jamaica,” Olowu said. Speaking of color: There’s a “dirty pink” in the collection that took the designer months to develop. He matched wine and pink tones infused by colors of both the Dada art movement and his own palette. Olowu is a mix master at making colors work for us—taking a page from menswear writ large, where mixing pattern and textures is nearly unlimited within that strict playground of silhouettes for men. In Olowu’s collection, if a sleeve dress or jacket changes, it’s never for the sake of change but because there’s a strong idea behind adding something to the collection. This season, ska prints became kaleidoscopic rainbows of geometric patterns, as Olowu imposed the sensual geometry of flowers onto subtly pleated, bulbous sleeves finished with boldly patterned cuffs at the wrist. White Beatle boots and porkpie hats are used as accessories and recall ’60s mod cool. Olowu’s collection is right for women of every age, and these exquisitely well-made clothes will stand the test of time for this generation and the next, who at some future point will be poised for a rebellion dressed in refined rocker style. Olowu tells The Glow Up that he spends a lot of time looking at women—from his wife, to his aunts, to the woman he buys flowers from—to see how they react to the clothes he makes. “The problem in fashion is that clothes often have nothing at all to do with the way women feel about their bodies or how they live their lives. I study women because I never want to impose trends or ideas on their lives that don’t work,” he said. In fact, he hopes that his clothes say something personal as much about his work as about the women who wear them. “You should love your dress even when not wearing it, but you’re just looking at it,” he adds. From cut to color to the women whose bravery and artistic genius is woven into his designs, there is much to enjoy.